The proteasome (or macropain) (EC 3.4.25.1) [(PUBMED:7682410), (PUBMED:2643381), (PUBMED:1317508), (PUBMED:7697118), (PUBMED:8882582)] is a multicatalytic proteinase complex in eukaryotes and archaea, and in some bacteria, that is involved in an ATP/ubiquitin-dependent non-lysosomal proteolytic pathway. 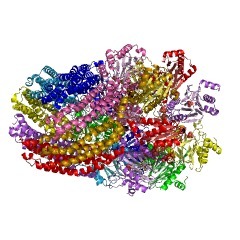 In eukaryotes the 20S proteasome is composed of 28 distinct subunits which form a highly ordered ring-shaped structure (20S ring) of about 700 kDa. 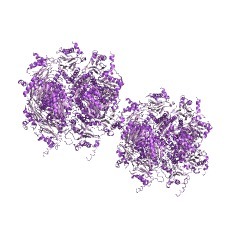 Proteasome subunits can be classified on the basis of sequence similarities into two groups, alpha (A) and beta (B). 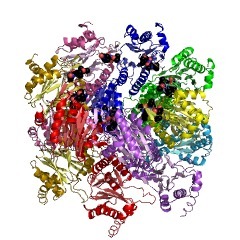 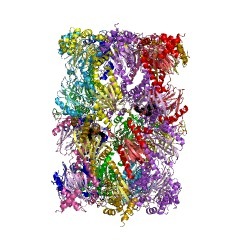 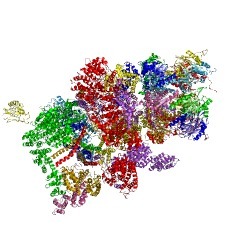 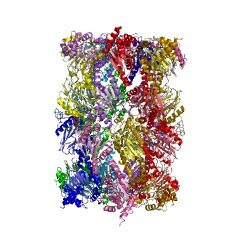 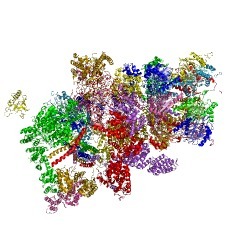 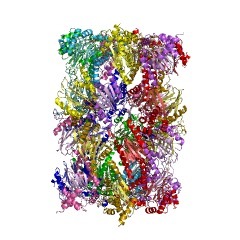 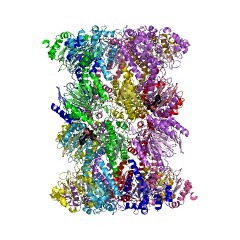 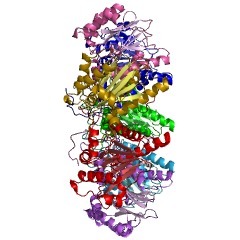 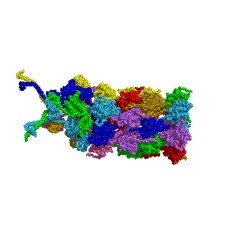 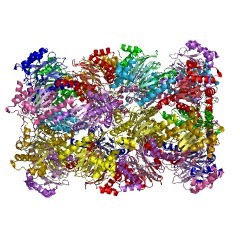 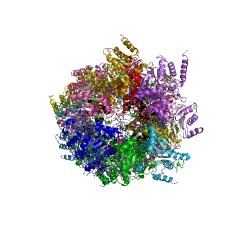 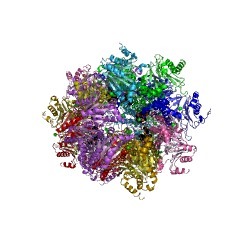 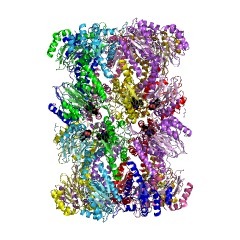 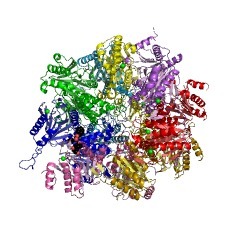 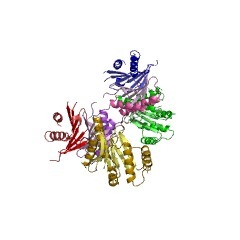 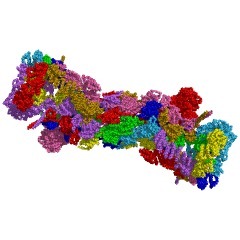 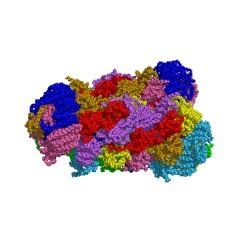 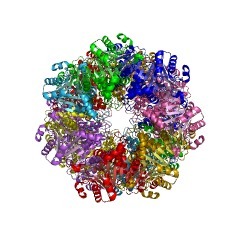 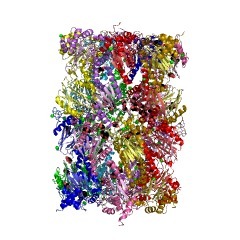 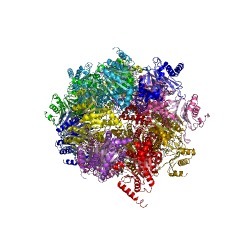 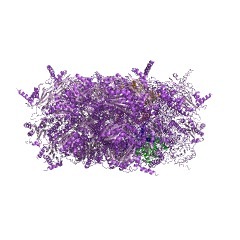 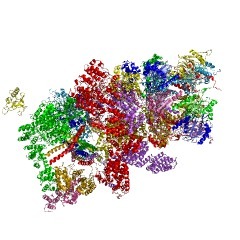 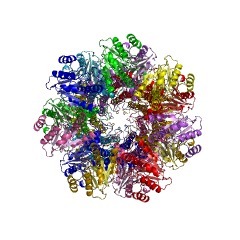 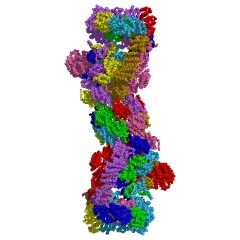 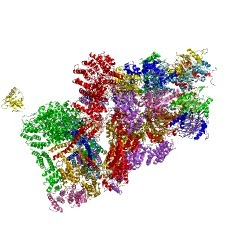 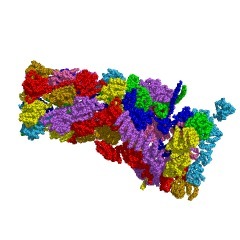 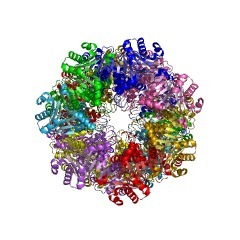 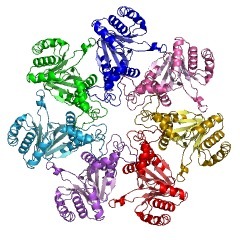 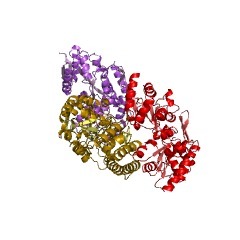 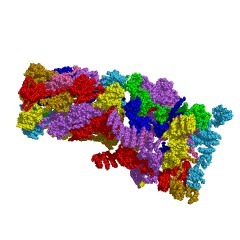 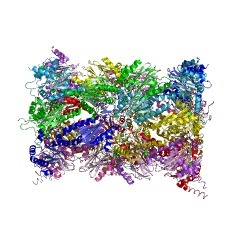 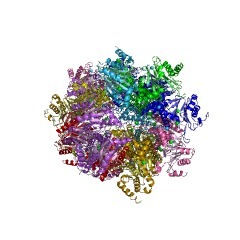 The proteasome consists of four stacked rings composed of alpha/beta/beta/alpha subunits. 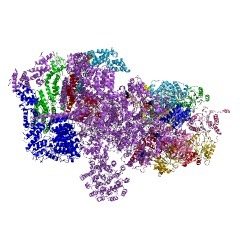 There are seven different alpha subunits and seven different beta subunits [(PUBMED:9087403)]. 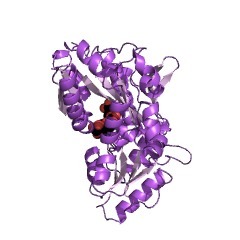 Three of the seven beta subunits are peptidases, each with a different specificity. 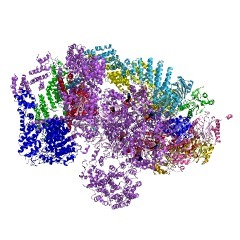 Subunit beta1c (MEROPS identifier T01.010) has a preference for cleaving glutaminyl bonds ("peptidyl-glutamyl-like" or "caspase-like"), subunit beta2c (MEROPS identifier T01.011) has a preference for cleaving arginyl and lysyl bonds ("trypsin-like"), and subunit beta5c (MEROPS identifier T01.012) cleaves after hydrophobic amino acids ("chymotrypsin-like") [(PUBMED:2535672)]. 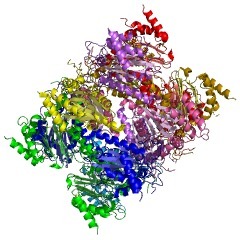 The proteasome subunits are related to N-terminal nucleophile hydrolases, and the catalytic subunits have an N-terminal threonine nucleophile. 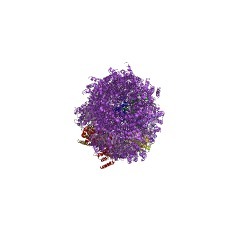 There are 11354 Proteasome_A_N domains in 11218 proteins in SMART's nrdb database. 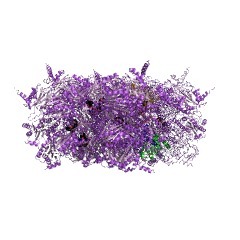 Taxonomic distribution of proteins containing Proteasome_A_N domain. This tree includes only several representative species. The complete taxonomic breakdown of all proteins with Proteasome_A_N domain is also avaliable. 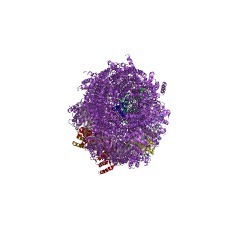 Click on the protein counts, or double click on taxonomic names to display all proteins containing Proteasome_A_N domain in the selected taxonomic class. 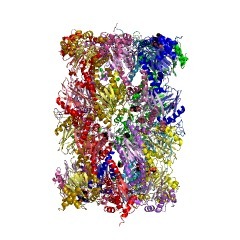 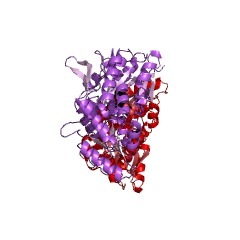 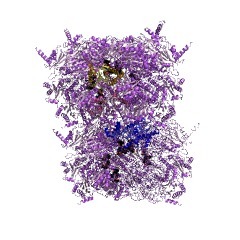 2fnc Thermotoga maritima maltotriose binding protein bound with maltotriose.